Science papers should be written by robots. The result of this effort, called Manuscript Writer, came out in early November. It works by searching through a sciNote user’s references, data, and protocols, and then stringing bits and pieces end-to-end in a rough draft of a formal academic paper. I mean a very rough draft: The software doesn’t even try to write a discussion section or interpret an experiment’s results; and based on what I’ve seen, the rest isn’t that much better than what you’d get from using SCIgen. Manuscript Writer constructs an introduction, for example, by pulling sentences and sentence fragments from a set of open-access references and laying them out in what appears to be no particular order. The sciNote system is likely to improve, though. In theory, its A.I. will learn from its mistakes by comparing users’ finished papers to the software’s first attempts. Given what we’ve already seen in automated journalism, it’s not so crazy to predict that the quality of science paper robo-prose will soon become much better than it is today. Perhaps we’ll even reach the point where it’s about as good (or about as bad) as the work of average human scientists. Indeed, we should all be looking forward to that day. Humans may be essential when it comes to formulating theories to explain results, but the rest of scientific writing—from a paper’s introduction through its description of experiments, methods, and results—would likely benefit from automation. Things have only gotten worse since Galton’s gripe. When scientists settled on a lingua franca for their work, it meant that researchers around the world would have to write in English regardless of their skill at using it. At the same time, the growth of the scientific enterprise after World War II, and its balkanization into increasingly specialized sub-disciplines made research articles more technical and formalized. Around the mid-20th century, a dreary template for their writings began to spread throughout the sciences: First an Introduction, followed by the Methods used for the experiment, then a resume of the Results and a section for Discussion. By the 1970s, this “IMRaD” format was nearly universal in the literature. As these changes solidified, scientific writing became less a vehicle for rhetoric than a conduit for data. Papers started to look more like packets on a network. If all those packets were the same—algorithmic in their composition, unembroidered, boring—that might only make them more efficient. In 1900, papers in Science and Nature were about as accessible to a general audience as pieces in the New York Times, according to a lexical analysis cited in a 2003 feature in Nature by Jonathan Knight. But their readability steadily eroded—and their jargon thickened—as the years went by. “We are now in a system that incentivizes sameness,” says Melinda Baldwin, author of Making Nature: The History of a Scientific Journal. “We’re in a system that doesn’t give people incentive to write beautiful scientific papers.” Individual researchers now feel pressure to produce a large quantity of publications, with less regard for style. The most important thing for them is to distribute their results as quickly, and as clearly, as they can. Even now, scientists who aren’t comfortable in English, or who just want to save some energy, may outsource the writing of their manuscripts to paid professionals. Automated writing would be an even better fix for those with suspect language skills or busy schedules. With robo-writers at the keyboard every article might end up looking more or less the same; but that’s a good thing. Distracting differences in scholars’ backgrounds, or defects in their style, would be averaged out across the literature. Each of Galton’s literary bugaboos—obscure expressions, poor grammar, and the faulty arrangements of ideas—could be instantly deleted from the literature, or patched over in a set of updates to the paper-writing software. What if their paper had been written automatically by Klemen Zupancic’s software or something similar? We’d have been deprived of the duo’s all-time classic kicker. The article, “Molecular Structure of Nucleic Acids,” would be as undistinguished in its writing, as insipid in its style, and as bereft of elegance as almost every other paper in the literature. That could be a good thing, too. If bad writing interferes with reading papers—if it slows down the sharing and transmission of experiments and data—then good writing does the opposite: It can make a paper slick and its logic slippery; it sands away the friction that helps readers get a handle on the findings it describes. According to FiveThirtyEight’s Nate Silver, poor writing in a research paper makes it hard to spot mistakes—but good writing does the same. It’s easiest to find errors, he says, in “average” papers, where you’re not distracted by the prose. Psychological experiments have supported to this idea. The more easily one can process any given statement, the more believable it seems, according to what’s been called the “fluency heuristic.” If that’s true, then poorly written papers would be disadvantaged—i.e. their findings deemed less true—even when the underlying science was completely sound. And papers written in an easygoing entertaining style could be taken as reliable, even when they’re based on insubstantial evidence. But if robots wrote our papers for us, we’d never have to worry that we’re victims of this bias. Every manuscript would be written in an average way: not too bad and not too good. Indeed as research grows more data-focused, there’s an ever stronger case for dreary, formulaic prose. At this point we have at least 24 million references in the biomedical literature alone, and 15 million scientists are actively writing papers. There’s simply too much knowledge for any single person to absorb, even in a single subfield of research, and even if the work were always written very clearly. To get a better handle of this corpus, then, we’ll increasingly rely on another piece of software—not a robo-writer but a robo-reader. These exist already: Scientists are automating their investigations of the literature, with bots that sort through millions of abstracts at a time. It’s here that we might find the greatest benefit from algorithmic text. If machines were writing up the papers from the start, it’s likely that machines would do a better job of understanding them, too. How much further could the robo-revolution go? Last year a group of researchers at the University of Trieste offered something new: the automated peer review. Inspired by the SCIgen prank, these scientists set out to build a tool for generating referee reports. The program will spit out a positive, negative or neutral assessment of any given paper, depending on which mode you request. “It would be good if you can also talk about the importance of establishing some good shared benchmarks,” the computer told one author. “It would be useful to identify key assumptions in the modeling,” it advised another. When the scientists showed their fake reviews, intermixed with real ones, to a group of human readers, the computer-generated text was deemed more useful one-quarter of the time. 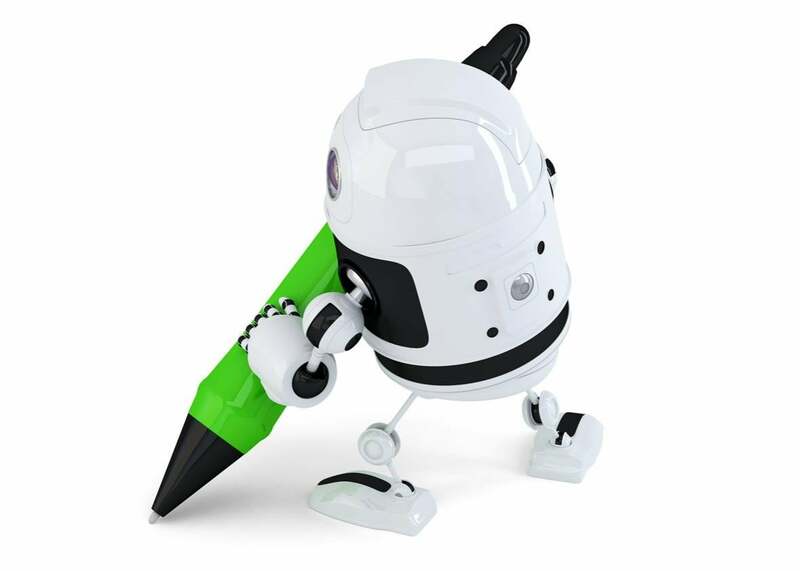 Once robot referees have improved enough, they can peer review our robot-written papers. From there, the next step should be obvious: robot science journalists to robo-write surprising takes on the latest science news.